The Italian Conference on Computational Linguistics, CLiC-it, aims at establishing a reference forum for the Italian community of researchers working in the fields of Computational Linguistics (CL) and Natural Language Processing (NLP). CLiC-it promotes and disseminates high-level, original research on all aspects of automatic language processing, both written and spoken, and targets state-of-the-art theoretical results, experimental methodologies, technologies, as well as application perspectives, which may contribute to the advancement of the CL and NLP fields. The spirit of the conference is inclusive. In the conviction that the complexity of language phenomena needs cross-disciplinary competences, CLiC-it intends to bring together researchers of related disciplines such as Computational Linguistics, Natural Language Processing, Linguistics, Cognitive Science, Machine Learning, Computer Science, Knowledge Representation, Information Retrieval, and Digital Humanities. CLiC-it is open to contributions on all languages, with a particular emphasis on Italian. 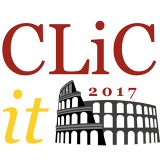 The fourth edition of CLiC-it will be held in Rome, on 11-13 December, 2017. 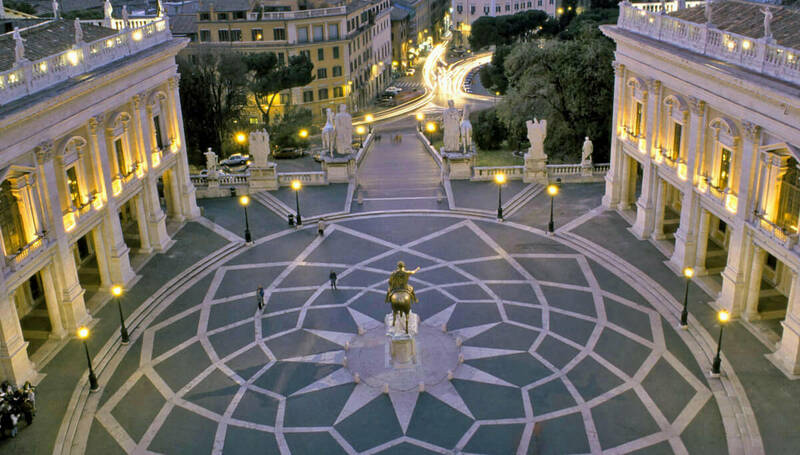 CLiC-it is organised by the Italian Association of Computational Linguistics (AILC — www.ai-lc.it). CLiC-it 2017 has the goal of a broad technical program. We invite papers in theoretical computational linguistics, empirical/data-driven approaches, resources and their evaluation, as well as NLP applications and tools. We also invite papers describing a challenge in the field, position papers, survey papers, and papers that describe a negative result. This year we are also favouring a parallel submission policy for outstanding papers that have been submitted and accepted elsewhere in 2017. If you are the author of a paper accepted at a major international CL conference or journal in 2017, you can present your work at CLiC-it 2017 in the form of a short research communication, within a dedicated session at the conference. Research communications will not be published in the proceedings, but are mostly intended to enforce dissemination of excellence in research within the Italian CL community. Regular papers may consist of up to four (4) pages of content, and two (2) additional pages of references. Papers can be either in English or Italian, with the abstract both in English and Italian. Accepted papers will be published on-line across different open access platforms including CEUR (www.ceur-ws.org) and Accademia University Press (www.aaccademia.it), and will be presented at the conference either orally or as a poster. For research communications (see above) a two (2) page abstract is required. The deadline for all types of submissions is July 15, 2017. Submissions should follow the two-column format. We require the use of LaTeX style files or Microsoft Word style files according to the ACL format, which are available on the conference website under the path: “Calls > Information for authors”. Submission must be electronic in PDF, using the Easychair submission software: https://easychair.org/conferences/?conf=clicit2017. Reviewing will NOT be blind, so there is no need to remove author information from manuscripts. In order to award the work of young researchers, the title of “best young paper award” will be attributed to the best papers in different research areas with a PhD student and/or postDoc among the authors. The award consists in a prize sponsored by NLP industries. The awarded authors will also be invited to submit an extended version of their papers to the Italian Journal of Computational Linguistics (IJCoL). To recognise excellence in student research as well as promote awareness of our field, as an innovation at CLiC-it 2017, and with the endorsement of AILC, we are also introducing a prize for the best Master Thesis (Laurea Magistrale) in Computational Linguistics submitted at an Italian University. The prize consists of 500 euro plus free membership to AILC for one year and free registration to the upcoming CLiC-it, where the author will have the chance to present their thesis. The complete call, including deadline and submission requirements, is available on the conference website under the path: “Calls > AILC Master Thesis Award”.